College rugby’s finest were spot-on their 7s game yesterday at University of Denver’s sports grounds. The 52 men’s and women’s 7s squads in three divisions, who sorted themselves in splendid fashion on Saturday, returned yesterday to finish what they had begun. Lightning in the area once again forced a slight re-structuring of schedules, but when it was all over and done with, lightning fast breaks on the pitch were the determining factors in all three finals fixtures at University of Denver’s incomparable rugby grounds on Sunday. The DU facility boasts a pair of 360o spectating spaces atop Barton Stadium where all matches on all fields can be observed simultaneously. In the men’s division 2 championship contest, James Madison University Dukes and University of Wisconsin at Whitewater Warhawks squared off for the title on the full-sized expanse of Ciber Field. In fierce competition featuring five lead changes in the first half, Whitewater opened the tally sheet on a grounding by three-quarters, Eric Pachowitz. Madison drew level on a touch down by front row Timothy Katz and then claimed the lead on the conversion by Chris Kunkel. Warhawks right back at it to retake honors less than 60 seconds later with a try and its conversion by Tim Grams. Kunkel put JMU back in front, 14-12, with his score and own conversion two minutes on, before halfback Alex Treuthardt crossed-and-dotted for the 17-14 Wisconsin lead reclamation. A try by the Dukes front row, Mike Barry, put the Virginia institution in front to stay and 21-17 at match midpoint as the lads took a breather for discussion and preparation for the last half of action. And that action was to be mostly from the Dukes as they outscored their opponents three trys-to-one to forge 40-22 victory and assure USA Rugby’s 2015 Division-2 National Championship title would return with them to James Madison University. In the women’s division championship, Penn State’s Amelia Bizer accounted for a quarter-century of points as the reigning national women’s champs became the returning titlists with the comprehensive, 47-26 win over Central Washington State Wildcats on DU’s Ciber Field. The Nittany Lions had run out to a 47-12 advantage near time before a brace of converted trys by Central Washington made for the record. 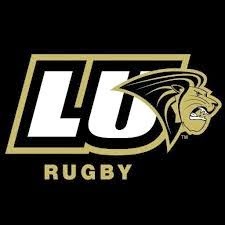 USA Rugby’s top men’s college sevens title fixture between the Panthers of Davenport and Lions of Lindenwood was a battle of Big Cats 7s squads familiar with one another as their XVs sides compete with Life Running Eagles in the 15-a-side, Mid-South conference. Each team were impressive giant-slayers in the knockout rounds en route to the finals: the Panthers with victories over Arizona State University Sun Devils (17-12) and much-heralded Central Washington University Wildcats (26-21); while Lions held off American International College Yellow Jackets, 21-17, then eked the squeaker, 12-10, past University of Utah Utes (who’d taken down 2014 champs, St. Mary’s Gaels) in their fractive semifinal encounter. So the championship setup was lush and fulsome as the referee whistled up the kickoff and the game was truly afoot. Lions Sebastian Kalm collected kickoff, grubbed a squibbler into space for his own collection at storming pace, and that speedster brushed off a would-be stopper on the way to the opening bloodlet of the final; with conversion by flyhalf Mickey Bateman, Lindenwood was up by seven early. Davenport responded with a dot by three-quarters Jean Pierre Eloff and things were tight and tense midway through the initial period at 7-5 for the Jungle Kings. Much more flame to this fire, but no further scoring in the half and lads breaking at ref’s midpoint signal. It was Bateman played the man well after resumption, stepping hot and sweet into space at Panthers 22 for a streak to goal and his own conversion: 14-5 just after that restart. LU back for more with a grounding by Kolton Nelson, its completion by Bateman and 21-5 the tallies to Lions three minutes into the last half. Davenport got one back with a try by the big fast man, Mason Baum, which made the scores 21-10 midway through the second stanza, but it was a final try by flyer Cameron Reed and the added deuce by Bateman just before time that made for a record of 28-10 and the 2015USA Rugby Men’s College Division-1, Sevens Championship title for Lindenwood University Lions at the sir’s last blast.